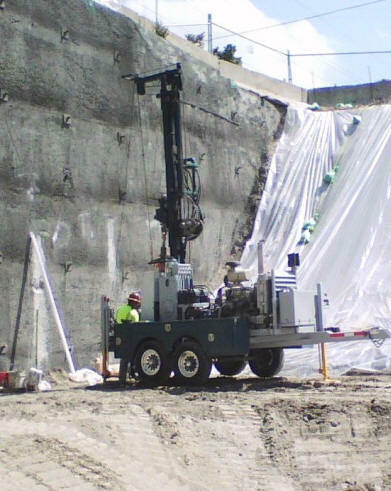 At Geologic Drill Explorations, Inc. we specialize in providing engineers with the core samples they need from locations where full size truck mounted drill rigs can't go. Our equipment gets the job done with minimal disruption to the site. We work year 'round throughout Washington state. Geologic Drill Explorations, Inc. provides engineering firms with exploration drill cores to evaluate subsurface geologic conditions. 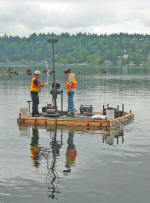 These field explorations are performed by trained technicians and licensed core boring specialists. Owner Ritch Gibson says, "Our specialty is being able to obtain geologic core samples from locations where full sized truck mounted drill rigs would be infeasible. After years of using conventional rigs, we found an alternative that gives us the power to reach the depths our clients require while remaining compact enough when space at the drill site is restricted. A smaller portable drill has allowed us to complete explorations in stream beds and on steep inclines with minimal site disruption."